"They gave the last full measure of devotion"
Location. 42° 12.959′ N, 79° 50.116′ W. Marker is in North East, Pennsylvania, in Erie County. Marker is on West Main Street (U.S. 20) west of North Lake Street (Pennsylvania Route 89), on the right when traveling west. Touch for map. Marker is at or near this postal address: 11 West Main Street, North East PA 16428, United States of America. Touch for directions. crow flies. 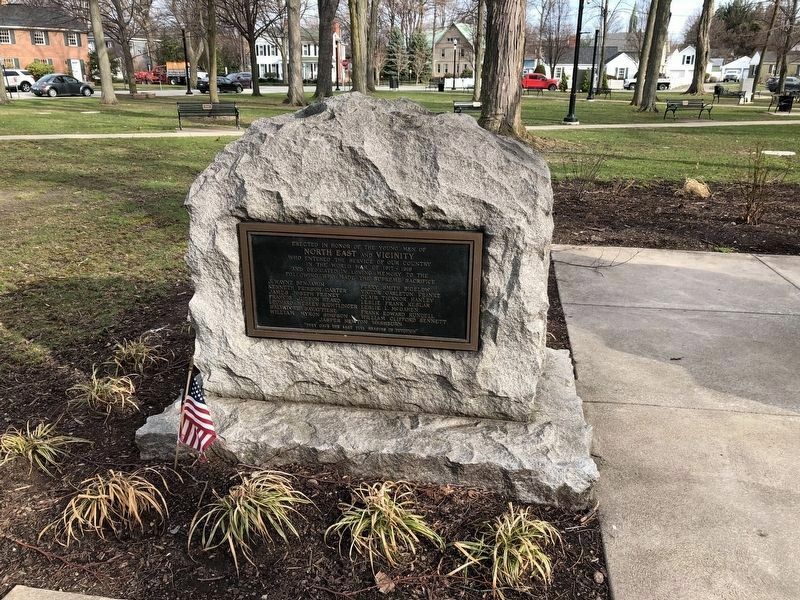 In Memory of Those Who Gave Their Lives That Others Might Live (here, next to this marker); Erected to the Memory of the Defenders of Our Country and Flag (here, next to this marker); Pennsylvania (approx. 4.1 miles away); Site of Farm of William Crossgrove 1807 (approx. 5.3 miles away in New York); Colt's Station (approx. 6.8 miles away); Ripley Veterans' Roll of Honor Monument (approx. 7.3 miles away in New York); Birthplace of Dr. Benjamin Franklin Goodrich (approx. 7.3 miles away in New York); Gifford-Blanchfield House (approx. 8.1 miles away). Touch for a list and map of all markers in North East. More. 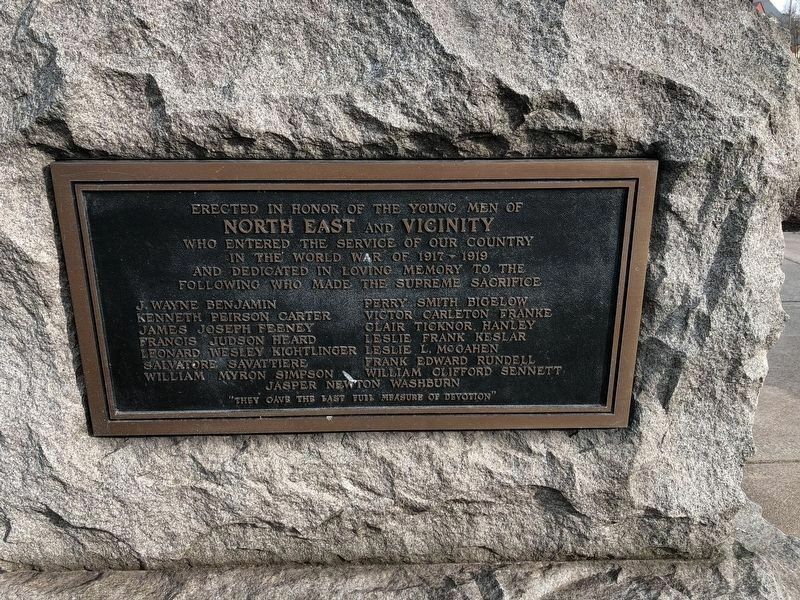 Search the internet for North East and Vicinity World War I Memorial. Credits. This page was last revised on April 15, 2019. This page originally submitted on April 15, 2019, by Devry Becker Jones of Washington, District of Columbia. This page has been viewed 20 times since then. Photos: 1, 2. submitted on April 15, 2019, by Devry Becker Jones of Washington, District of Columbia.